I was cleaning around my kitchen the other day and began looking at all of my cookbooks. It reminded me that I haven’t written about any of my favorite cookbooks lately. What most inspires me about Frank is that he was the first Southern chef to take Southern food and elevate it beyond the level of meat plus three. 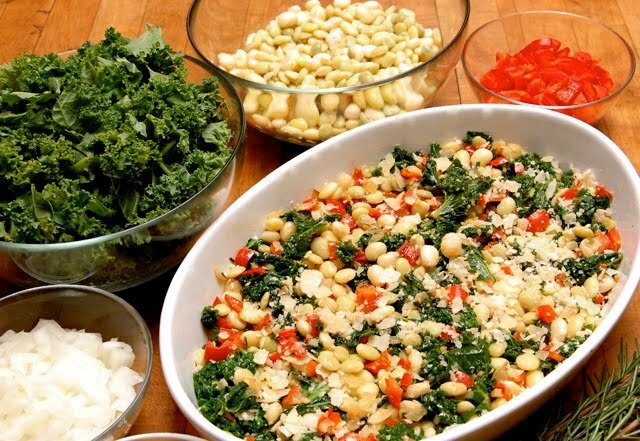 Several of my favorite dishes come from his cookbook. Sometimes I follow them to the tea (why mess with perfection) or sometimes it’s fun to add my own twist on things. To me, that is what makes cooking fun, experimenting with ingredients to change a recipe and make it your own. 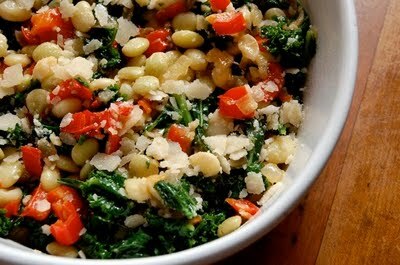 Frank’s Buttermilk Vinaigrette is still one of my personal favorites and used quite often at the Farmhouse. When Inn guests ask me about my favorite Southern recipes, what comes immediately to mind are Frank’s restaurants in Alabama. A great road trip for me is to visit Bottega Restaurant and Café and hang around and enjoy dinner at Highland’s Bar and Grill. I would encourage all of you to visit both restaurants for a true culinary treat. 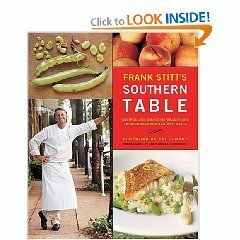 Frank’s food inspires me on a daily basis because it is so amazingly delicious and to me he is a master Southern Chef. I adapted this recipe from Frank Stitt’s original recipe with white beans and collard greens. 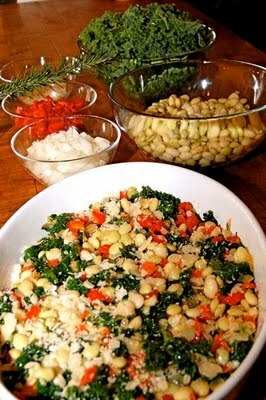 My favorite pea is the butter pea and my favorite green is kale so decided this combination would be simply delicious. We sampled this last night during our prep time in the kitchen and the aroma alone made our mouth water. We are featuring the gratin on the Farmhouse menu this week as one of our side dishes. Preheat the oven to 450º. 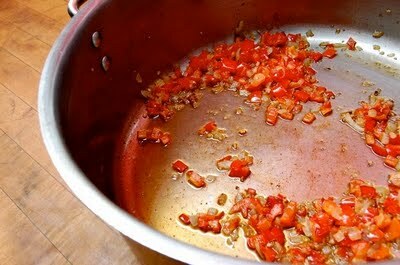 In a large sauté pan, heat the oil in medium-high heat. Add the onion and red pepper and sauté until tender, about 10 minutes. Add the chopped garlic and cook for about 1 minute. 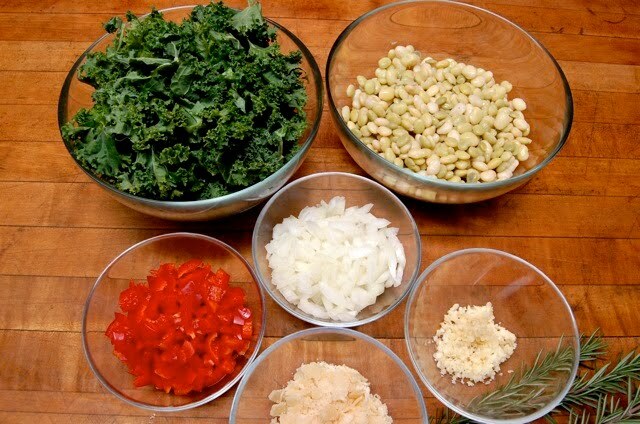 Add the kale and sauté for another minute, stirring to coat. Transfer the sautéed vegetables to a large mixing bowl and add the butter peas, half of the Parmigiano, a splash of olive oil, the rosemary, and salt and pepper. Taste and adjust the seasoning and add a little of the reserved pea broth as needed to moisten. Spread the pea mixture into the gratin dish. Top with the remaining cheese, and a drizzle of extra virgin olive oil. Cover with aluminum foil and bake for 30-35 minutes. Remove the foil and bake for an additional 10 minutes, or until the top of the gratin is golden and crusty.